Statues of the Orishas, the spirits of Africa, often called upon during rituals of Voodoo and other African spiritual traditions. An Orisha is a spirit that reflects one of the manifestations of God in Africa's Yoruba religion. The Atlantic slave trade spread their worship to throughout the Americas including Cuba and Brazil where they are still popular today. Orishas are called upon in practices as varied as Santeria, Candomble, Trinidad Orisha, Oyotunji, and Voodoo. 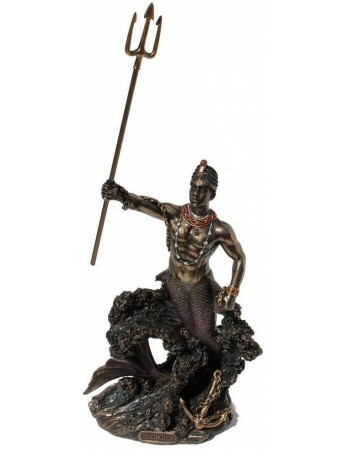 We are pleased to present the Orisha as stunning statues perfect for your altar or rituals.